Are you facing challenges with your health that seem impossible to overcome? Do you have aches and pains and have just accepted them as part of the aging process? Has your "get-up-and-go" got up and went? Have you tried one diet after another or one diet product after another, but still can't get your weight under control? Have you ever looked in the mirror and wondered how you could get a "facelift" without expensive, dangerous surgery? Well don't give up. You have come to the right place. 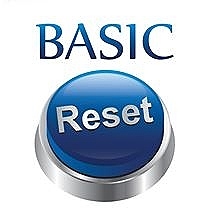 At Basic Reset™, we have found answers to your concerns with safe, effective products that won't "break the bank". Our philosophy is very simple: start with the basic foundation of health and build on that. It's just like fixing cracks in the walls of your home. If the foundation is weak, patching those cracks is a waste of time, because they will keep coming back. We can help you rebuild your foundation and as many of our customers say, "It's like a new lease on life"!